US president-elect Donald Trump said he was “very much” looking forward to meeting British Prime Minister Theresa May and described the UK as a “very special” ally in his latest tweet. 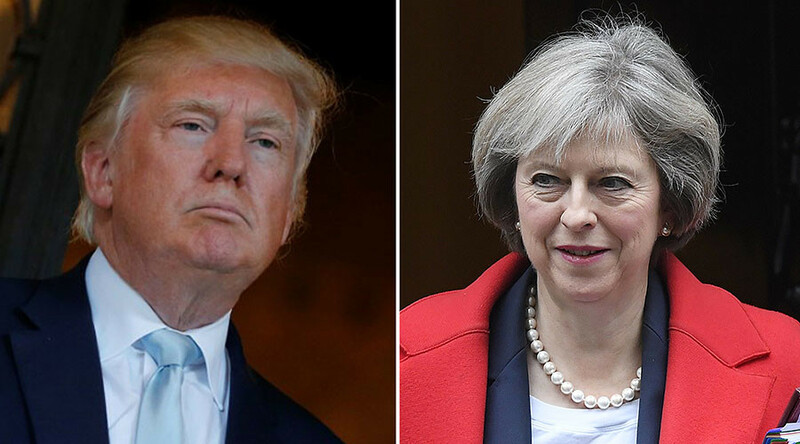 Trump and May are due to meet in Washington in the spring after the prime minister's closest advisers were sent to the US in an attempt to improve relations with the president-elect’s team. Following Trump’s victory in the US elections back in November, he met then UKIP leader Nigel Farage before any representative of the British government, proving embarrassing to May’s cabinet. Farage was seen posing with the president-elect outside the infamous gold-plated elevator in Trump Tower only days after the election. As an added blow to May, Trump then said Farage would do “a great job” if he were to be the next British ambassador to the US. The prime minister’s joint chiefs of staff Nick Timothy and Fiona Hill were reportedly sent on a low-key mission to strengthen ties with the president-elect despite the icy start to the US-UK relationship under the new administration. On Sunday, however, May called Trump’s previous comments about women “unacceptable” in an interview with Sky News. “I am optimistic and positive about the relationship,” May said.